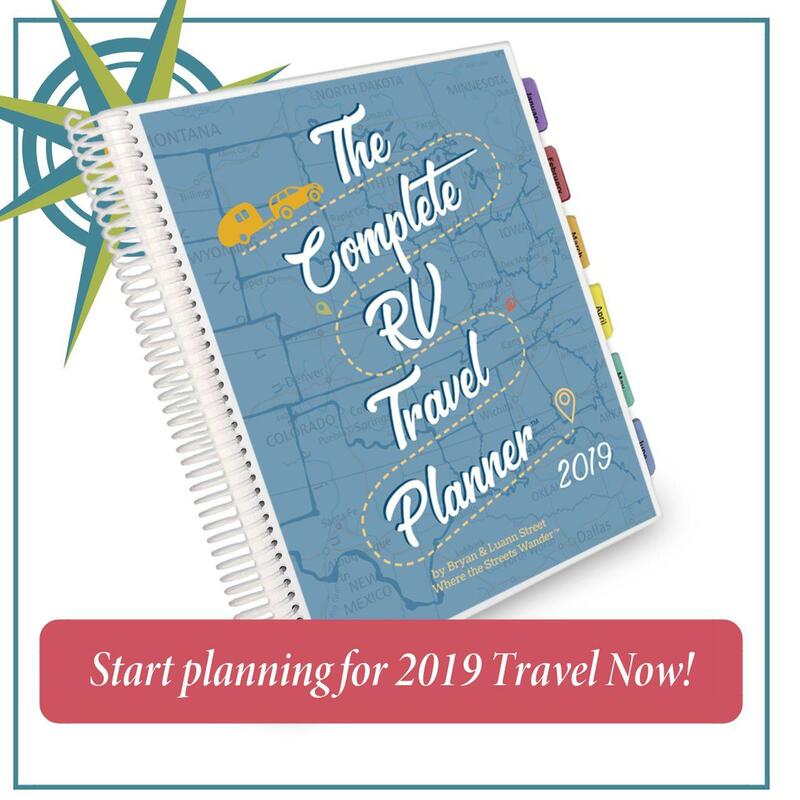 My RV journey began with the thought that a travel trailer might be easier than finding multiple hotels that would take my three cats on my move from Northern California to southern Texas. From that simple thought it grew into the idea of fulfilling a life-long dream of traveling around the country in an RV. As I fantasized about what the trip might look like, I knew the only thing I HAD to do was see the Grand Canyon. The Grand Canyon is one of the Seven Natural Wonders of the World and the only one in the United States. Everything else I might get to see or do would just be gravy on the potatoes. I don’t remember how I learned about the Grand Canyon Railway in Williams, Arizona, but once I did, I got really excited. In case you don’t know, I LOVE trains and I knew that combining the train with seeing the Grand Canyon would be the highlight of my trip. The train depot is right next door to the Grand Canyon Railway RV Park where I stayed for three nights. I arrived on a Tuesday afternoon and had made my train reservations for the next morning which happened to be Halloween. No, I didn’t buy the book even though I was tempted! The trip is almost 2½ hours in each direction. It’s 130 miles round trip from Williams to the South Rim of the Grand Canyon on a rail line that dates back to 1901. The train travels at an average of 40-45 miles per hour. The train departs promptly at 9:30, but before it does, you can have a little fun watching the Old West Shootout at 9:00 am. The cowboys miraculously survive their wounds and we see them again later on the train. There are six classes of service on the vintage train, from the very basic Pullman class to the Luxury Parlor and Luxury Dome. I chose the middle of the road First Class service which included oversized reclining seats with lots of leg room and large windows for viewing the scenery. This class includes complimentary snacks and drinks in both directions. There is bar service to your seat if you want to purchase a cocktail. The Café Car is available to all classes of service and has snacks and drinks for purchase. To help pass the time, as if watching the ever-changing scenery wasn’t enough, there were strolling musicians playing old West tunes. The buffet of muffins and fruit with juices and coffee was open. Our attendant, who brought us our cocktail orders, was author John Kistler who is an animal expert. He has written six books about animals and is working on one about Arizona wildlife. John entertained us with stories and facts about local wildlife using stuffed animals for props. He was a hoot and I learned so much. I had booked a motor coach tour of the Grand Canyon rather than taking the free shuttle, so when the train arrived at the station, I went right to my bus. I’m really glad I booked this tour because I got so much more information about the Canyon from our tour guide than I would have on my own. By the end of the day, between the train and all I learned at the Grand Canyon, my brain was on information overload. While we drove through the village, our tour guide told us about the history of the park and the buildings in the village. Grand Canyon National Park was the 15th place in the US to be named a national park. For whatever reason, it took a while for the designation. The first bill to establish it as a national park was introduced in 1882 and would have made it the second national park after Yellowstone. Several other bills introduced were unsuccessful until Woodrow Wilson finally signed the Grand Canyon National Park Act in 1919, creating the 1,217,262-acre Grand Canyon National Park. The Grand Canyon was designated a UNESCO World Heritage Site in 1979. As we approached our first stop and got our first view of the canyon, you could hear a gasp or other verbal utterance from almost everyone on the bus. It was truly breathtaking. The sheer size of what is before you is almost overwhelming, and at each viewpoint you are seeing only a small portion of the canyon. The canyon is 277 miles long, up to 18 miles wide and a mile deep! The Colorado River looked like a little trickle running through the canyon. In fact, because it is very muddy right now due to recent rain, our tour guide had to point it out to us. He stopped along the road to give us a great view of one of the whitewater rapids on the river. The California condor nearly became extinct in the 20th century. By 1982, there were only 22 known birds in the wild. After a successful captive breeding program, which began in 1983, six young condors were released in the Grand Canyon in 1996. The birds are tagged and monitored and now number about 80. I was disappointed that I didn’t get to see any but glad they continue to make a comeback here. Driving back through the village we saw elk and deer, none of which seemed particularly interested in or afraid of people. After the motor coach tour, we had about 2½ hours on our own for lunch and any other sightseeing we wanted to do. I had packer’s stew served in a sourdough bowl for lunch at Bright Angel Lodge then headed out to check out some of the gift shops. I needed a souvenir. We were warned not to be late for our 3:30 train departure as there wouldn’t be another train until the next day so I made my way to the train for the 3:15 boarding time. On the ride back to Williams, there were more strolling musicians; a buffet with meat, cheese and soft drinks and more animal tales. The cowboys from the morning shootout had recovered from their wounds enough to rob the train. I reviewed my photos and videos, reliving the excitement and wonder of the trip. It was an exhausting, exhilarating day. It was definitely the highlight of my journey so far and something I will not forget. National Parks, RV lifestyle. Bookmark. Hi Janet! I hope you make it there some day. It is definitely worth a visit. I love Christy, echo and Ocean. I hope they are cat nip happy! Do they like oat grass? We just planted some for our family. I love this! I have never taken a train ride, but this sounds amazing! I did hike the Canyon when I was 14, but I am sure the train provides an experience of a lifetime! It really was a great experience for this train lover!